First Nation Growers Community Garden Farming Co-op Pre-Care-After-Care Training and skills development empower Indigenous people and their communities! Each of our FNG training programs complements a series of seminars focusing on specific areas of new age rotary hydroponic growing. Courses are available through distance learning (self-study), in-class learning, hands-on workshops, and web-based virtual learning. Included are examples of how to set up informative training sessions with department managers and community members. We have certified instructors teaching all courses provided within the community, even those in remote northern locations. We come to you! Classes are also available to all Indigenous agricultural professionals, and those dealing with Indigenous exposures. Operations that give the same commitment to Indigenous employment initiatives as other business activities in relatively short time frames achieve excellent outcomes. Attaining sustainable improvements in Indigenous employment begins with a promise. Companies with successful Indigenous employment strategies have an executive leadership team that has publicly committed to improving Indigenous employment outcomes and backs this commitment by providing adequate financial and human resources. Companies communicate their commitment to staff, contractors, suppliers and shareholders through statements, policies, strategies, and reconciliation action plans. FIRST NATION GROWERS LP. intends to support the continuous successes of each of our First Nations and Inuit Community Garden Farming Co-op projects and partner communities by providing pre-start-up and semi-annual Head Office Facility visits that include educational training and industry education workshop seminars. Each employee and manager, as an essential component of our continued support for the ongoing success of each, fresh produce community grow project will be privy to quick and easy accessible industry education, knowledge, and growing understanding through innovative training, and staff development workshop seminars, both on-site and online. We stand behind our equipment 100% concerning warranty and operational guarantees. We believe that it is as equally important to get behind our people in providing pre-start-up and semi-annual employee industry training, education, and development workshop seminars to ensure the successes and longevity of each First Nation Indigenous Community Garden Farm Co-op System projects, regardless of size or remoteness regarding location, Canada-wide. 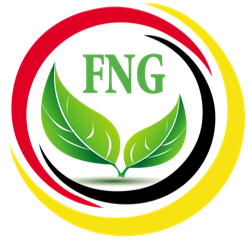 FNG will provide 24/7/365 support and is both privy and sensitive to Indigenous concerns, incomes, and issues, where we intend to create and nurture a healthy, creative, respectful and enjoyable office and plant facility environment. Employees are fairly compensated and encouraged to respect each other and customer clients as well as the quality of the products that we produce. First Nations and Inuit community project employees and visitors will feel welcomed and at home during every Facility industry Workshop and Education Training seminar. FNG intends to provide the best possible relevant and easily accessible project training, education, and development workshops and seminars for each First Nation Growers Inc. Fresh Foods Garden Farm Co-op community project, creating added value for each community partner grower. A big part of our fresh produce education component will be the added on-line webinars made available to each community member. We discuss the value of combined nutrition to our diets, cooking with fresh produce greens and why including healthy eating and foods benefit one today for tomorrow, that raw produce consumption provides our bodies and the ongoing long-term benefits of good health. Besides, employee project industry training, workshop, and education seminar follow-up will be mandatory to ensure project, customer client, and employee satisfaction, knowledge and operational successes.